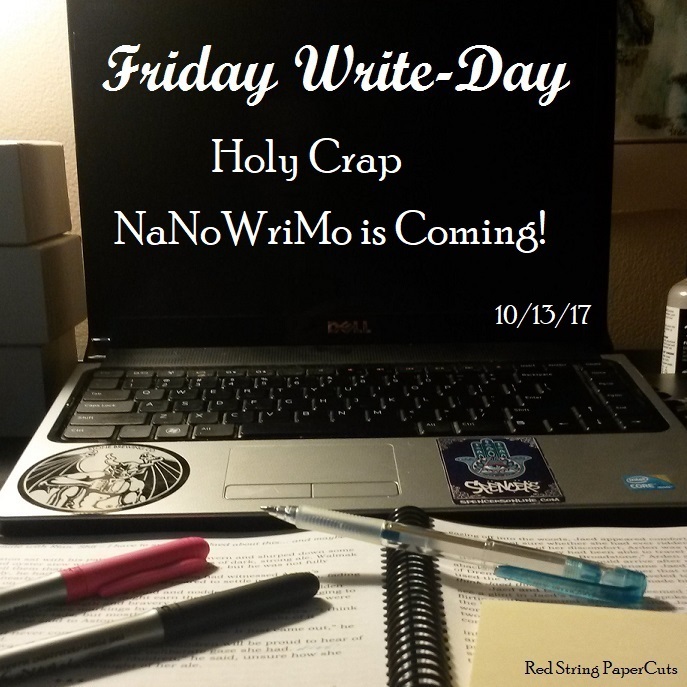 Friday Write-Day: Holy Crap NaNoWriMo is Coming! Holy crap it’s almost November! I’ve been looking forward to National Novel Writing Month basically all year, and it somehow still snuck up on me. So I guess it’s time to announce my project for NaNo 2017. I’m pretty sure I’ve talked about this before, but I’ve planned my year of writing to be able to work on another story for NaNo. That’s why I was so set on finishing the beta of WoEM before autumn. Because now, I can focus my NaNo energies on………..drumroll…………. Yep! I have about 5,000 words so far on my second novel, so I’d like to make some good headway on it before I publish WoEM. An ambitious ruler must lead his people to greater peace while balancing opposition from every corner of his domain. A young diplomat must secure a strategic alliance with a new ruler before the region unravels into political conflicts and war. A veteran soldier must survive fighting a long way from home and decide if bloodshed and war are his true fates. These log-lines will help guide the narrative arc of each of the four main characters as I write. It keeps me centered on the umbrella theme of the story. WoEL is a follow-up to my first novel, but not a sequel… not quite. One POV character from WoEM, Arden, is the focus of WoEL, but this is more her story. Other characters definitely make appearances and overlap, but I’m trying to write WoEL as an independent story. I know that it will be extremely difficult for me to hit 50,000 words this November, because I will also nee to dedicate some time to preparing WoEM for publication. This may include implementing some of the revisions from my editor. So, this NaNo will be a good test at my multi-tasking for writing projects. I’ve had the luxury of mostly focusing on one project for three years now, but I know I want to be more productive in the future. Being able to juggle (and progress on) two books at once will be a great challenge for me. Who’s with me this NaNo season? Buddy me at dia820 if you want. Happy Friday the 13th!